Pinker injects calm and rationality into these debates by showing that equality, progress, responsibility, and purpose have nothing to fear from discoveries about a rich human nature. He disarms even the most menacing threats with clear thinking, common sense, and pertinent facts from science and history. 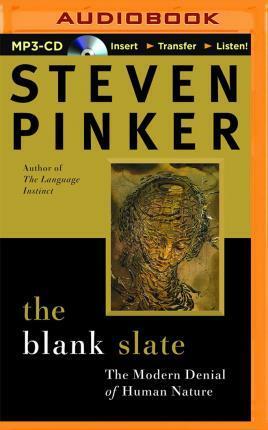 Despite its popularity among intellectuals during much of the twentieth century, he argues, the doctrine of the Blank Slate may have done more harm than good. It denies our common humanity and our individual preferences, replaces hardheaded analyses of social problems with feel-good slogans, and distorts our understanding of government, violence, parenting, and the arts.